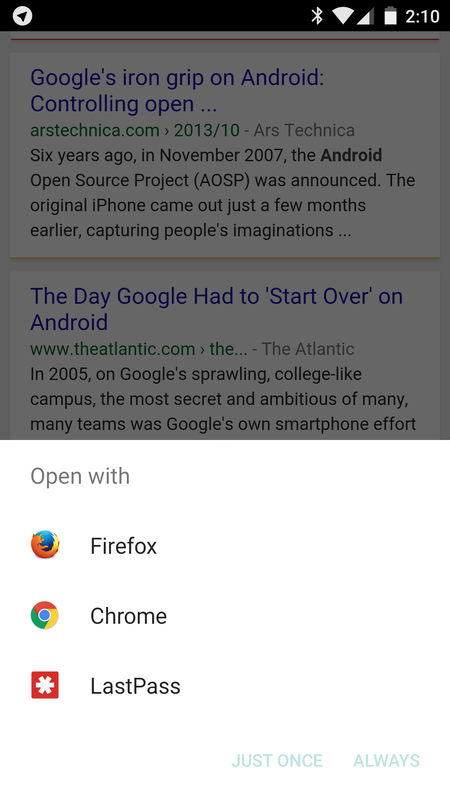 A new addition to Android M, as discussed at I/O today, will allow that to happen. Developers can add an "autoVerify" attribute to their app manifest to tell the operating system that there is no need to prompt the user for certain types of links. When users click on links that meet the criteria, it will bring them straight to the auto-verified app. It is probably no coincidence that this comes the day after goo.gl shortened URLs gained deep linking support. Google obviously wants to funnel users to appropriate apps and do so with minimal prompting. 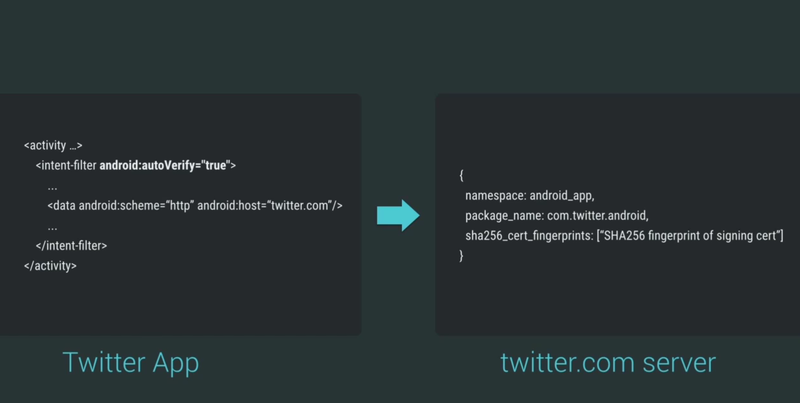 In the featured image, you can see an example of how the code in the manifest interacts with the server, which must tell the OS that the app truly does own those links. The downside here is that, like in this example, this would enable Twitter to open twitter.com links in their own app, presumably even if third-party clients are present. Talon or Plume can't verify themselves with Twitter's server. More info about developer-oriented changes is now at the Developers Blog.